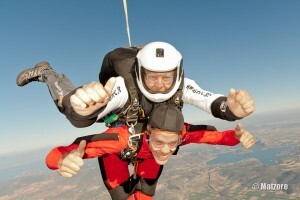 It was our honour to make a tandem jump with Jenny & Alex at GFFC in Greece. 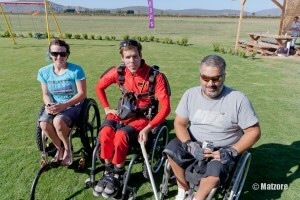 Both are paralyzed due to an accident in the past but their dream was to make a skydive and to raise attention. Their mission is to raise money for a customized kitesurf seat. If you are interested to learn more and/or to possible donate, check out their website www.solokiting.com. It was our pleasure to bring you up in the air and to be a part of this special event.